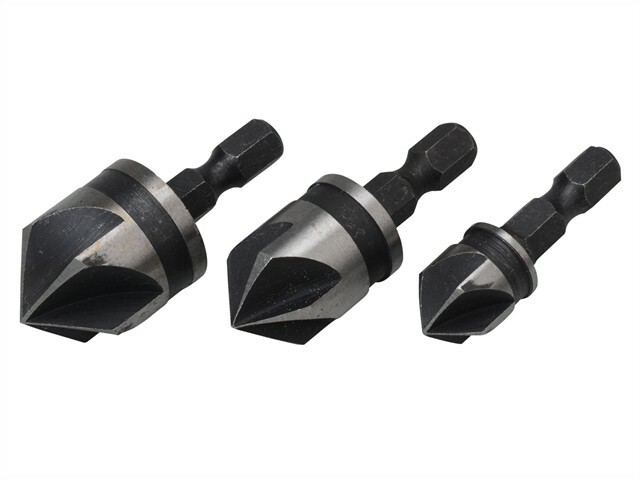 The BlueSpot Tools Countersink Bit Set contains the most popular sizes. Made from heat treated carbon steel for strength and durability. Suitable for all hand and power drills with a 1/4in hex bit holder. Sizes: 12mm, 16mm & 19mm.